The flamed handle is made from a Dons of Edmonton whole cane beachcaster, unfortunately the tip was broken so has now found service as a landing net handle. The other is the tip of an unnamed cane beachcaster, remarkably although thinner and slightly shorter it is considerable heavier. They look good Richard, hope you fill them soon. My first homemade net handle was made from a beach caster tip section. Still my favourite and most used. You've made a lovely job of those Harry. 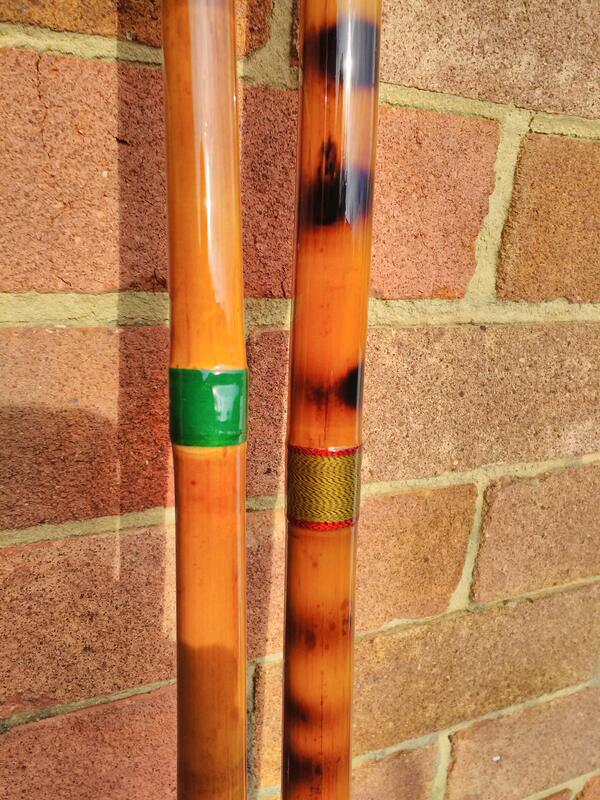 I made a few landing net handles from old beach rod canes, I'm not sure where this cane was grown but the nodes are quite close together and the wall thickness was huge. I also remember trying to scrape the outer enamel off one and it took me all morning to do a 5ft 6in length, it is extremely strong stuff. 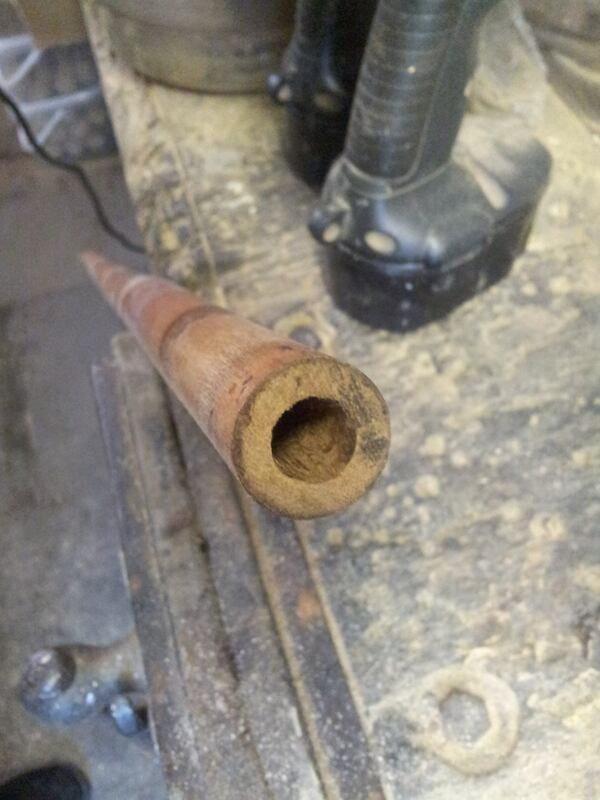 Here's a picture of the wall thickness on a 1 inch diameter cane. The nodes were about 6 inches apart which is close considering the cane was a full inch thick. Thanks everyone for your nice comments, just got to finish off some rod rest and I'll be ready for when the weather warms up a few degrees.